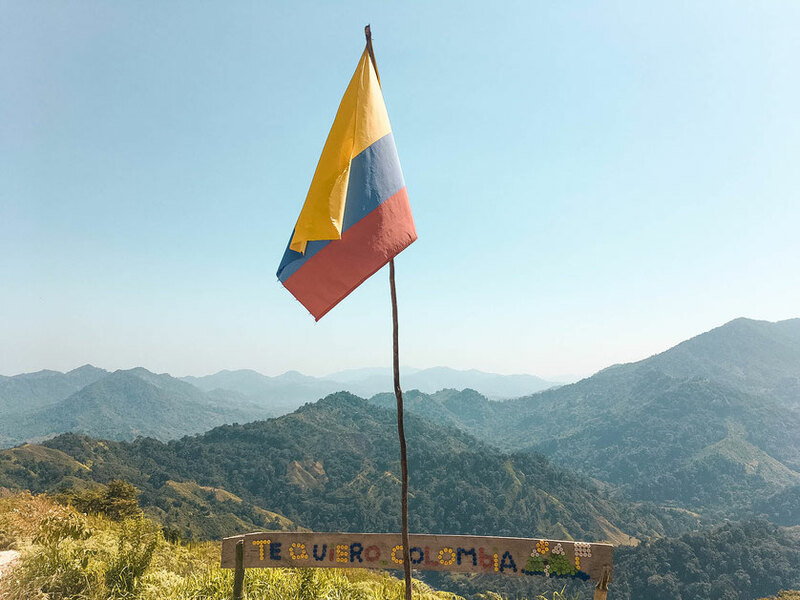 We've made no secret of the fact we fell completely in love with Colombia, and it quickly became not only our favourite country in South America but one of our favourite countries in the world. Tourism in Colombia is still a relatively new concept as the country was closed off for such a long time; however, the country has been slowly repairing itself, and the Colombia of today is vibrant, progressive and an absolute wonder to travel through. 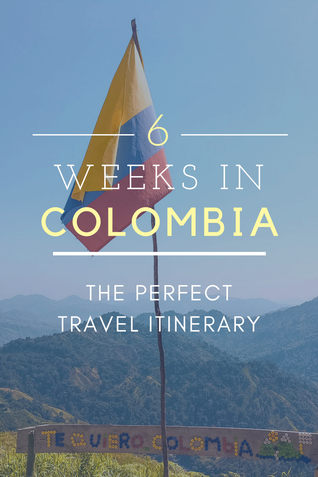 We spent over 10 weeks in Colombia and travelled the country extensively; and in the end, we really struggled to leave at all! We visited all the places people raved about and also got off the beaten-track to discover the lesser-known, more local places. 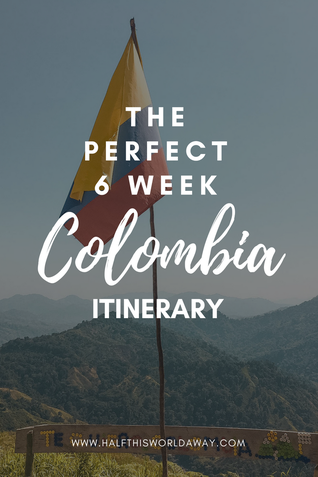 We've created this 6 week Colombia travel itinerary as we feel it is the perfect amount of time to experience all the highlights this beautiful country has to offer. Of course, you can travel Colombia for less time; and pick and choose destinations from this travel guide to make up your own Colombia travel itinerary. 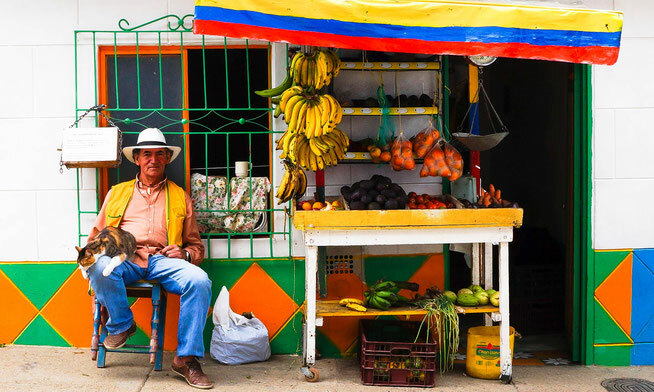 In this guide to Colombia we've included the best places to visit and how to get there. As well as how long to spend in each destination and the best things to do whilst you are there! Here is how to see the very best of Colombia in 6 weeks, the places we loved, the highlights and the best things we done. Medellin is a bustling city in the centre of Colombia; it has an international airport and is the starting destination for our itinerary. This is a city which has underwent an incredible amount of suffering and is now emerging at the other side. Medellin has a harrowing history; and the city has seen it's fair share of violence, even once being named as the most dangerous city in the world. However, the Medellin of today is progressive and vibrant and whilst it's fascinating to come and learn about Colombia's past here, it's also important to remember that Medellin and it's people are looking towards a brighter future. Cable Car to Parque RV - this cable car ride offers panoramic views over the expansive city, and glides over barrios until it reaches a park at the top of one of Medellin towering hills. Take a graffiti tour in Comuna 13 - Comuna 13 is a barrio in Medellin that was once the most dangerous place in the world. However, fast forward 6 years it became the most progressive place in South America. 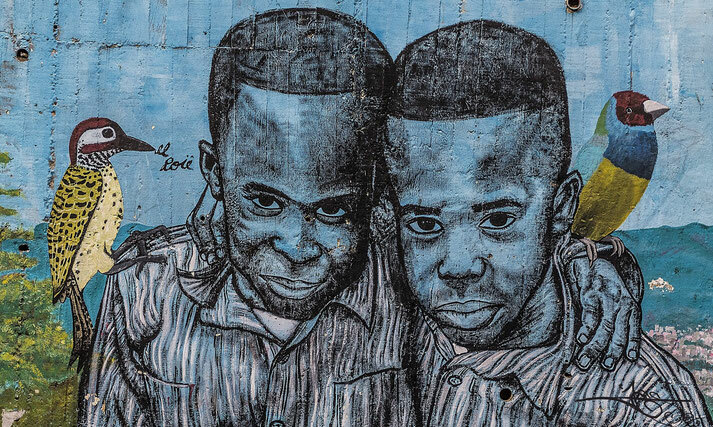 This barrio is covered in incredible street art which depicts Colombia's violent history, and it's brighter future. Take in a football game - When in South America, the one thing everyone needs to do is soak up the atmosphere at a football game and no where is better than Medellin. Medellin has 2 rival football teams; Atletico National and Deportivo Independiente Medellin, to see one of these teams play is incredible and even better if you are able to take in a match between the two of them. Take a free city walking tour - Medellin is brimming with history, and as this is the start of your trip its the perfect place to learn a bit more about what happened here as this will give you a greater understanding as your travel the rest of the country. Visit Museo Casa de la Memoria - Memory House Museum is a harrowing museum which demonstrates and explains the conflict within Medellin; and really highlights just how much this city has suffered. The only downside about this museum is that 90% of it is in Spanish therefore if you do not speak Spanish then you won't get as much out of the visit, however still worth while going to take in the photography and video displays. 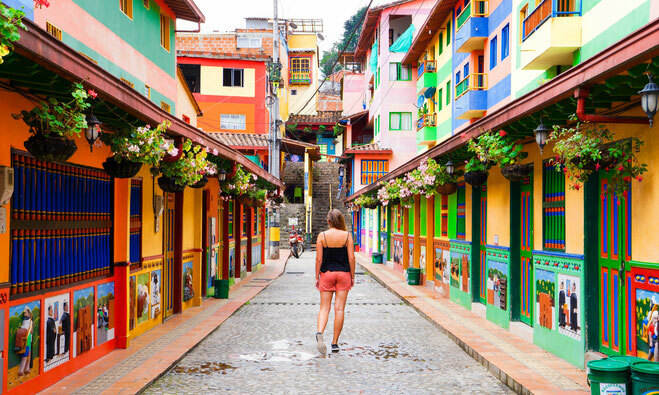 Guatape is a gorgeous and colourful little town only 2 hours from Medellin; some people only come to Medellin as a day trip to climb the famous rock but we think there is so much more to do here and would recommend you spend a few days exploring this little pueblo. Getting to Guatape from Medellin is really straightforward as there are regular local buses which run from Terminal Del Norte in Medellin direct to Guatape. The journey takes around 2 hours and costs $13,500 COP. We wrote a complete guide to Guatape which covers everything we done in the 2 weeks we ended up spending here, as well as the best places to eat and find coffee. However, these are a few of the absolute highlights which shouldn't be missed! Climb to the top of the rock - La Piedra, or The Rock in English is undoubtably Guatape's most famous landmark and the view at the top is more than worth the 700 odd stairs you need to climb first. Visit Pablo Escobar's home - The lakes surrounding Guatape are home to some stunning and expensive homes, and one of them belonged to the infamous Mr Escobar. Although it was bombed by Los Pepes in 1993, today you can take a boat out to the house, wander around the ruins and imagine how it once was. 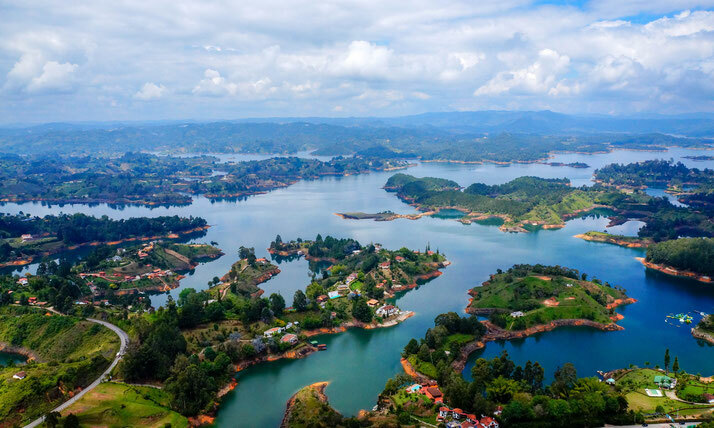 Hike the surrounding countryside - There's a few hikes you can do from Guatape which will either take you to nearby waterfalls or to stunning viewpoints which overlook the valley. After spending a few days in Medellin, it was lovely to be out in the countryside exploring. As Guatape is a small town, it doesn't have the same options as the bigger cities so regardless of your budget, we would recommend you stay at Lake View Hostel. Lake View Hostel has both private rooms and dorm rooms, a Thai restaurant on the top floor and a bar. 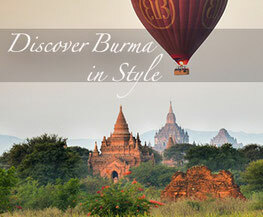 It suits every kind of traveller and is in a great location just on the edge of town. Jardin was one of our favourite places in all of Colombia, and is a little bit off the beaten track. This colourful town is a place where men still ride into the centre of the town, wearing cowboys hats whilst atop their horses. 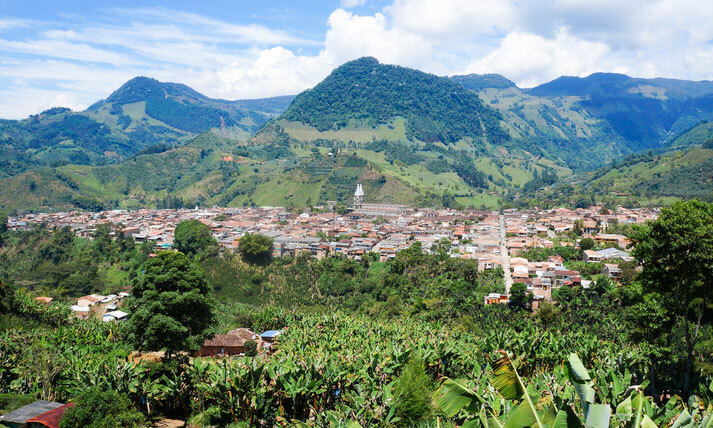 Jardin is a 4 hour bus journey from Medellin, therefore after Guatape you will need to head back to the city and get a taxi between Terminal Del Norte (where you will be dropped) to Terminal Del Sur. The terminals aren't too far from each other and taxis in Colombia are super cheap! To get to Jardin from Terminal Del Sur then we travelled with Rapido Ochoa whose buses leave several times a day and cost 26,000 COP per person. To check for tickets and times then click here. Another option would be to spend a day or two in Medellin in between Guatape and Jardin so you're not travelling too much in one day. We wrote a full post on the best things to do in Jardin but here's a couple things you shouldn't miss. Hike to Cueva Del Esplendor - this waterfall is one of the most impressive we seen in South America, and the hike there is a lot of fun! You need to go with a tour group as you will drive part of the way there before commencing the hike. Take a cable car over the town - There is a colourful, wooden and slightly unsteady cable car which takes you up to a beautiful view point which overlooks Jardin. It only costs 7,000 pesos per person and at the top there is a little cafe which sells the best freshly squeezed orange juice! In Jardin, we stayed in Hotel La Casona Jardin, a beautiful colonial styled hotel just off the main square. We loved the traditional feel of this hotel and the location was perfect. To check rates & availability on booking.com then click here. 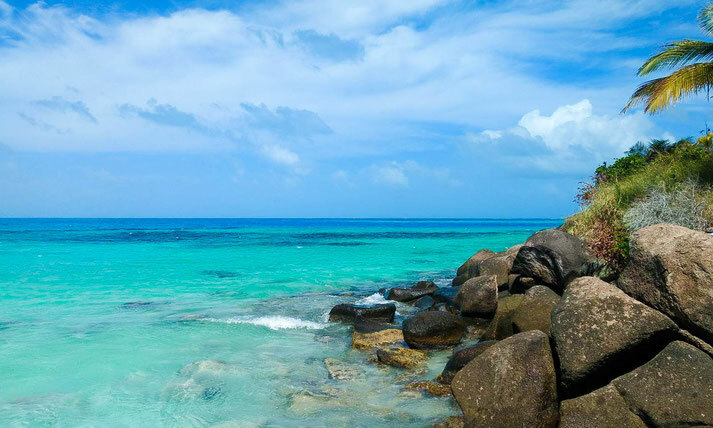 After spending some time in cities and towns, you will no doubt be craving some white sands and turquoise waters, and no where can satisfy your fix better than Providencia. 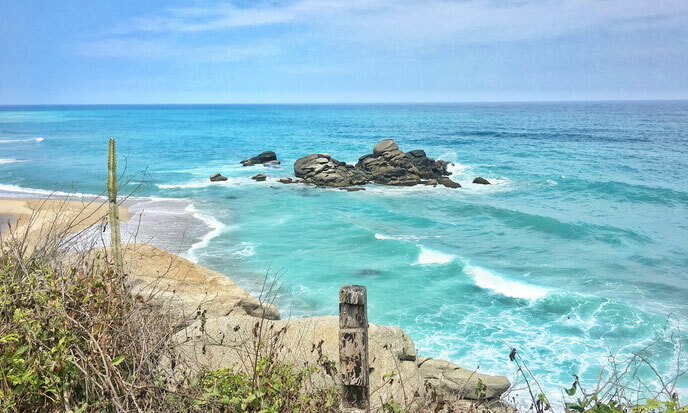 This little island of Colombia's north coast is distinctfully more Caribbean than Colombian; but regardless of its heritage, it's a little slice of paradise. We're not going to sugar coat this, getting to Providencia isn't the easiest of journeys, but we promise it is worth it! We flew from Medellin to the island of San Andres with Latam airlines, as San Andreas is the only access point to Providencia. Once on San Andreas island you can either take a 4 hour horrific boat journey to the island, or take a short 30 minute flight! We've wrote a full guide on how to get to Providencia island which explains the boat and flight options. Providencia is a stunningly tropical island; it's where white sands meet the bluest of water, and palm trees sway in the gentle breeze. There are some great things to do on this island, or alternatively, you can do nothing at all and simply relax into island life where your days will be filled with walks along the beach and sipping from coconuts. However, if you can be dragged away from the beach then there are some fun things to do on this island! Scuba Dive - Scuba Diving on Providencia is incredible! We saw sharks on every single dive we done and also saw a huge variety of fish and coral. As the water is so clear, the visibility is perfect! Hike to a viewpoint - There is a viewpoint which overlooks the whole island, a couple of hours uphill, through the humid jungle and you will reach what feels like the gateway to heaven. The landscape from here is astounding, and you will have the perfect view of the ocean, known as the sea of seven colours. 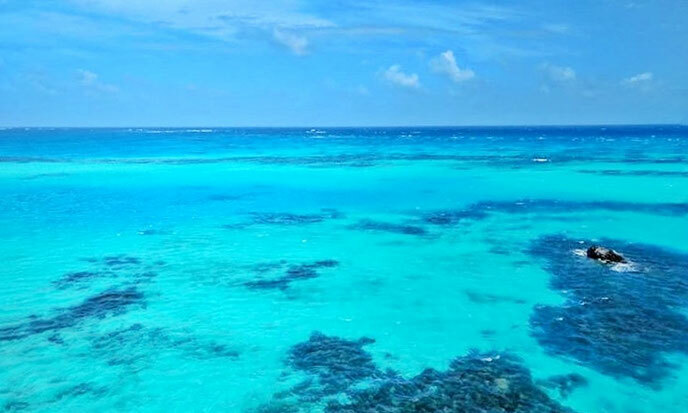 Visit Crab Island - Undoubtably, the most beautiful part of Providencia. This little mount known as Crab Island can be kayaked to and it's home to Providencia's most beautiful waters. Alternatively, there is a luxury hotel on the island called Deep Blue, the hotel isn't listed on booking.com so you need to go directly to the hotels website to make a reservation where rooms start from 610,000 COP per night. You can read our full guide to Providencia here. After leaving Providencia then then you can fly from San Andres to Cartagena as it's time to see Colombia's most colourful city and discover Colombia's Caribbean coast. This vibrant colonial city by the sea is reminiscent of a fairytale town with its wrought iron balconies and cobbled streets. Apart from being beautiful, Cartagena is full of history from colonial times and it's a fascinating place to deepen your understanding of Colombia. Cartagena is one of the main access points to Colombia as it has an international airport so flights from San Andres are frequent and the journey only takes about 90 minutes. There's so much to see and do in Cartagena that we recommend a minimum of 4 days here, and these 4 days will be pretty jam packed! These are some of the highlights which you shouldn't miss. Explore Cartagena's colourful streets - Simply get lost in the beautiful lanes of Cartagena's old town which are filled with charm! Eat at a local prison - There is a gourmet restaurant inside the San Diego Women's Prison, the food is seriously good and is all prepared and served by inmates! Visit Castillo de San Felipe de Barajas - Said to be the greatest fortress ever built by the Spanish, today you can wander around this incredible structure and through its labyrinth of tunnels. Visit the Rosario Islands - these islands are an archipelago site just off the coast of Cartagena, there's over 25 islands and hundreds of miles of coral reefs. The islands are stunning and a perfect way to spend a day. 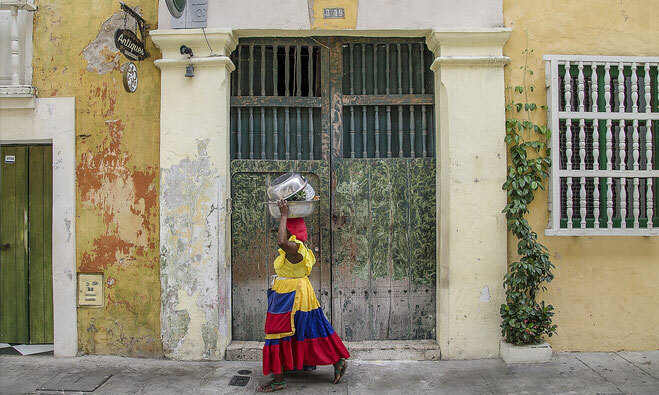 Take a city walking tour - Cartagena is filled with history from the colonial period, and a free walking tour with a local is the best way to get an understanding of what happened in this city. You can read our full guide to Cartagena here. When in Cartagena then you need to stay in a boutique hotel inside the city walls! Boutique hotels are renowned in this city and it means you get to stay in an old colonial building. Inside the city walls is also the safest part of the city and we wouldn't recommend you stay outwith this area. These are some hotels we would definitely recommend! Further along the Caribbean coast is Santa Marta, we didn't really like the city of Santa Marta itself, however it is a good place to base yourself as it is the access point to other incredible places in this region of Colombia such as The Ciudad Perdida, Minca and Parque Tayrona. The city has a few good places to eat but other than that, we wouldn't recommend you spend much time here. There are regular buses which leave Cartagena bus station bound for Santa Marta and the journey takes between 5 and 6 hours usually. The best bus company is Berlinastur which provide minibuses to Santa Marta every 40 minutes from 4am until 6pm and the price is $40,000 COP per person. We're skipping the "best things to do in Santa Marta" as to be honest, we didn't find anything worthwhile recommending. There are a couple of good coffee shops and brunch places, so it's okay to wander around the centre of the city and visit a couple of these places but not much to do other than that. 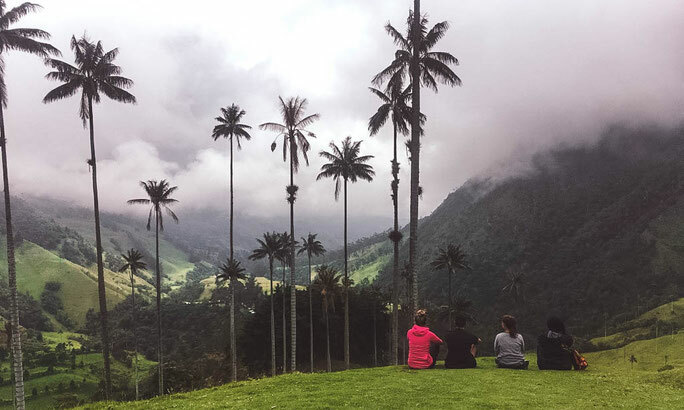 Hike The Ciudad Perdida, Colombia's "lost city"
The Dreamer Hostel - The Dreamer Hostels are arguably the best hostels in South America, and more similar to an serene oasis than a backpacker hostel. They are lovely places to hang out with a swimming pool, hammocks, palm trees and a relaxed vibe. However, the one in Santa Marta is a little out of town next to the bus station which is good for getting in and out of Santa Marta but not ideal if you want to pop into town for a coffee or lunch. Casa Amani - Casa Amani is located in the heart of the city so the location is good in terms of having lots of things nearby and this hotel is lovely, clean and modern! 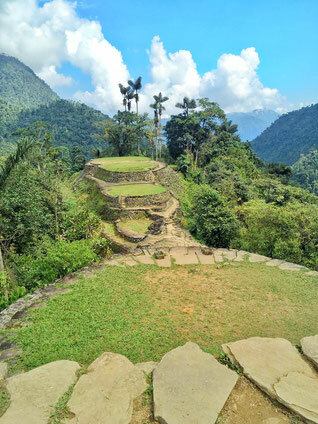 The Ciudad Perdida is Colombia's answer to Machu Picchu, it was only discovered as recently as the 1970's, however for years it was too dangerous to access due to military groups hiding in the area. However, today you can safely trek for 4 days and 3 nights to reach The Lost City. To hike to the Ciudad Perdida you need to do this with a tour company, and there are now a fair few different tours companies operating from Santa Marta. I opted not to do this hike as 4 days in the jungle isn't really for me but David loved this trek! He would highly recommend going with Expotour as he had a brilliant experience with them. The guides were fun and knowledgeable and the food was plentiful and delicious! All food and accommodation is provided as part of the tour; but accommodation is basic, you are sleeping in the jungle after all. You will have the option between hammocks or beds dependent on the number of people on your tour but we would recommend choosing a bed! A hammock sounds like fun but no one slept very well in them. The hike is 4 days long, you will reach The Ciudad Perdida on the 3rd day and spend the 4th day hiking back along the same track. This trek was one of the best things David done in South America; it is challenging and involves long days of walking in the searing heat but when you finally reach Colombia's lost city; it is more than worth it! After spending some time on Colombia's Caribbean coast, you will no doubt be craving some cooler weather. From Santa Marta you can head into the Sierra Nevada, perched 600m above the city. This region is renowned for its lush, green jungles, coffee plantations, waterfalls and incredible birdwatching. Most travellers to this region will go to the jungle town of Minca, however we stopped in the lesser-known Paseo Del Mango for a couple of days beforehand. Here, our days were filled with swaying lazily in hammocks whilst overlooking the Sierra Nevada, and taking dips in the warm pool. Since David had just spent 4 days hiking, this was the perfect spot to relax for a couple of days before moving onto the busier and more active town of Minca. From Santa Marta then the easiest way to get to Paseo Del Mango is by taxi; they will drop you off at the bottom of the track into the jungle next to a couple of shops and moto taxis. You can either pay $15,000 COP for a mototaxi up to your accommodation or you can do the approx. 2 hour walk. Our friend took a mototaxi, however David and I decided to walk but after a while I was feeling pretty tired! Thankfully, a local man drove by in a pickup truck and offered us a lift. We jumped on the back and he drove us a good bit up the track knocking about an hour off our walk! If you do decide to walk this track then make sure you have plenty of water with you as there is no where on the way to buy anything (you are literally in the jungle). The reason to come to Paseo Del Mango is to relax. Here, you are deep in the jungle and there really isn't much to do. There's no cafes or bars or restaurants, instead you are surrounded by mango trees and the only sounds you will hear are birds. However, if you can ever pull yourself out of that ever-inviting hammock then there are a few things to do in the area. Take in a sunset - next to Finca Carpe Diem there is a viewpoint which was about a 30 minute uphill walk. From here you can see the city of Santa Marta and the sea in the distance and the sunset was beautiful. Visit a natural jacuzzi - okay, so we were a little disappointed when we got to this "natural jacuzzi" as it's not really like a jacuzzi at all. But, it was fun to swim in the cool river water and relax in the natural bath. Hike to nearby waterfalls - a group of us hired a guide and spent an afternoon hiking to 4 local waterfalls. We paid $35,000 COP per person for the guide and booked through the hostel however, in hindsight, we don't think it was worth it. You could have got to these waterfalls on your own and our guide didn't provide much information on the walk; we were simply taken there and back again. As far as we are concerned, there is only one place to stay when in Paseo Del Mango and that's Finca Carpe Diem. This hostel is eco-friendly, relaxed and has the most beautiful view. 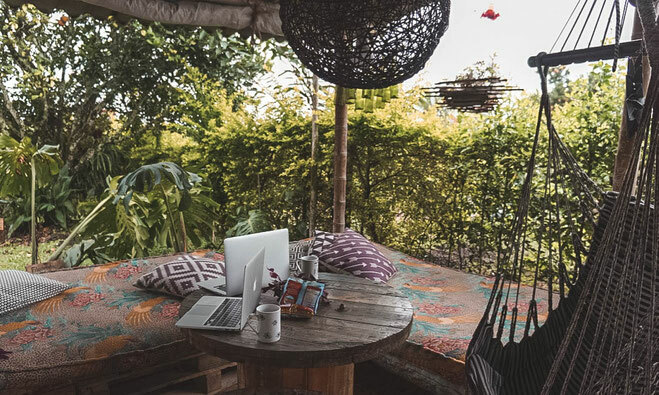 Built deep into the jungle by a couple from Belgium who fell in love with this region of Colombia, they have created a jungle hideaway for travellers looking to slow down and simply enjoy being so close to nature. 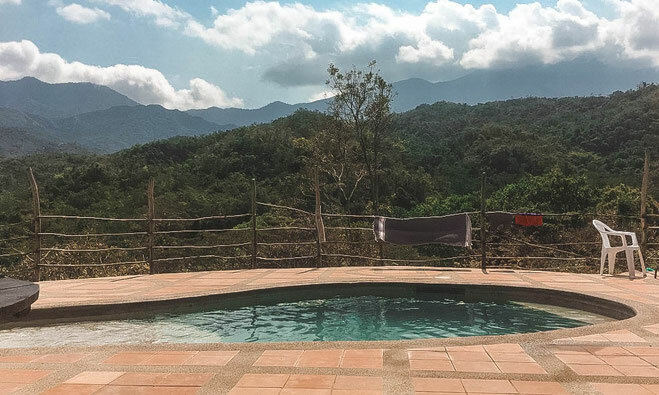 Finca Carpe Diem is serene and peaceful; they have two swimming pools, a restaurant which serves really good food all day long and nice, chill out areas. Minca is a bustling little jungle town which has recently fallen onto the tourist radar. It's full of little coffee shops selling organic coffee and is the perfect spot for some hiking and enjoying the outdoors! From Paseo Del Mango then the easiest way to get to Minca is to book a transfer with Finca Carpe Diem. They have a local driver who will take you in a 4x4 from the hostel and drive you to your accommodation in Minca which takes about 40 minutes. This isn't the cheapest option though and will cost $120,000 COP, so if there is a group of you then this is a good option but for a solo traveller it is quite expensive. There are two alternative options; you can get a Moto taxi back to the bottom of the track and from there get a taxi to Minca or it is possible to walk through the jungle to Minca. We opted for the 4x4 option, however we know people that did walk it. The walk takes several hours and you need to be confident on your navigation skills as you don't want to get lost in the jungle! Visit a coffee farm: Who knew you didn't need to go all the way to the coffee region to see a coffee farm! 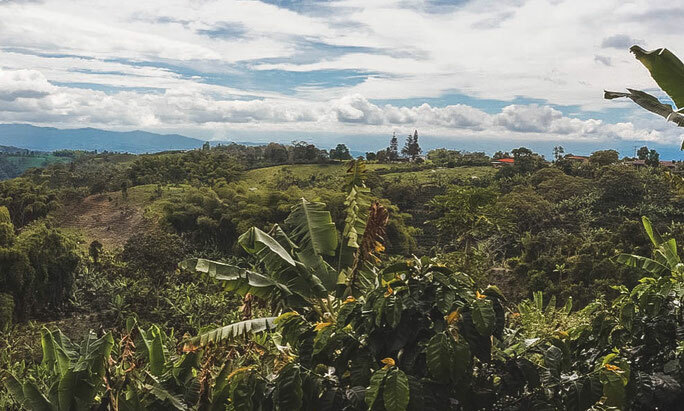 Minca has it's vey own coffee farm called La Victoria where you can take a tour and enjoy a delicious cup of coffee (and cake!) in their cafe. 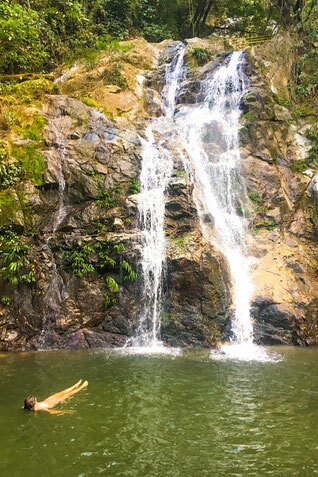 Go for a swim at Polo Azul: This waterfall is only a 45 minute walk from the centre of town and it's icy waters are the perfect place to cool down after the walk there! Take in the view at Los Pinos: Los Pinos is at the very tip of Minca and offers incredible panoramic views. 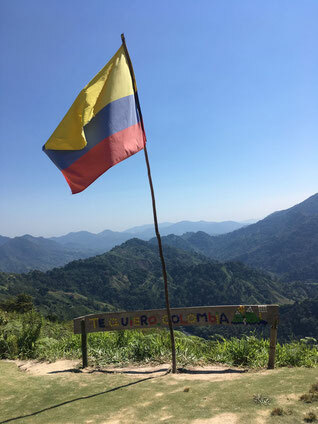 We hiked up to this point (and hitchhiked part of the way with a friendly local) and enjoyed a sit down with views over Colombia's Sierra Nevada. Sit on the World's Largest Hammock: The largest hammock in the world (or so it is claimed) is in Minca at Casa Elemento. You need to pay to get into the hostel (if you aren't a guest) but you do get a free drink. When we were there, it was queued out the door for people waiting to get a photo op on the hammock so we opted against doing it. We've heard sunset from Casa Elemento is beautiful though. 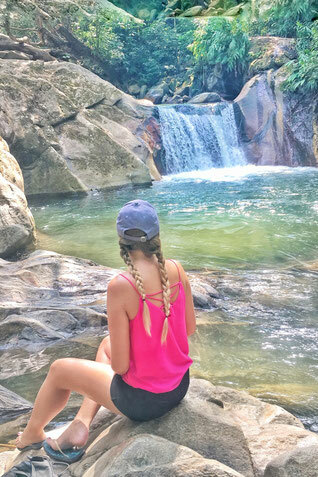 Take another dip at a refreshing waterfall: Las Cascasdas de Marinka was our favourite waterfall in Minca, and perfect for swimming in! You need to pay to visit but it's only $3,000 COP per person, and if you chose to do the Minca hike this will be your last stop on the loop so the perfect place to cool down and relax before continuing for 45 minutes back to the centre. When in Minca then there is really only one place to stay; Casa Loma. Casa Loma is the epitome of what Minca is about; it's tranquil, serene and picturesque. This treehouse style hostel is at the very top of a flight of stairs, however once you make the climb, the views are beautiful. There is no wifi up there so you can physically and mentally disconnect and simply enjoy Minca. You can check availability here. Parque Tayrona is a stunning National Park in Colombia where the jungle meets the roaring ocean. Although the waters here are invitingly blue, you actually can't swim at the majority of beaches due to the current. In fact, over 100 people have drowned at Tayrona National Park so ensure you read the beach signs before entering the water. It is a stunning national park though with lots of different hikes and easy strolls throughout. It's also worthwhile noting that the park closes every February for 1 month to enable the indigenous people of this region to do a cleansing ceremony, therefore take this into consideration when planning your trip along the north coast. After leaving Minca and returning to Santa Marta (which you can do easily at the bus station in Minca with minibuses leaving whenever they are full which is usually every 20-30 minutes), you can then get the bus on to Parque Tayrona. There is a local bus which leaves from the Santa Marta market (on the corner of Carrera 11 and Calle 11) every 30 minutes. The journey takes an hour, costs $6000 COP per person and will take you to the main entrance of the park. Alternatively, if you are staying at The Dreamer Hostel then the hostel does daily trips to the park, dropping off and picking up guests. 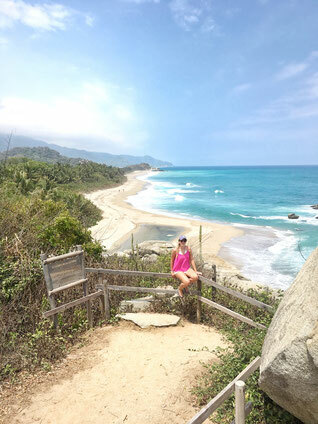 The best thing to do at Tayrona National Park is to explore! There's so many hidden beaches and viewpoints, and even an indigenous village inside the park you can walk to. There is also a "miniature Ciudad Perdida", if you don't fancy doing the hike to the actual lost city then there are ruins next to the indigenous village which are similar to The Ciudad Perdida but on a smaller scale. Most people stay at the busy Cabo San Juan beach as this is where the famous rock is which you can sleep in hammocks above the ocean. We felt this beach was really overcrowded and wanted to stay somewhere a little quieter so we decided to stay at Arecifes which has tent and hammock sleeping options. A tent here is $54,000 COP per night and you're only a 10 minute walk to La Piscina beach, the best beach for swimming at. You can stay for longer in Parque Tayrona but after one night of camping we felt it was enough for us. From here, we exited the park and got on a passing bus back to Santa Marta. We decided to leave the Caribbean coast after this and start making our way back down south. 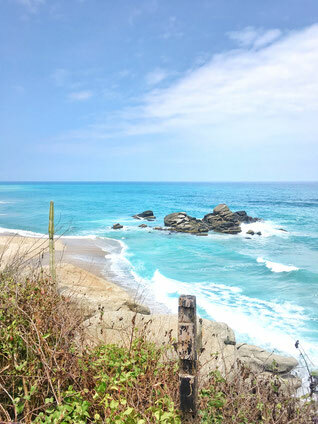 However you do have the option of visiting Palomino and El Guajira (Colombia's desert) from marque Tayrona. We didn't go to either of these places so we can't recommend how long to spend there. We didn't go to Palamino because we heard it was just a beach with not much else happening and we had already seen gorgeous beaches on Providencia. We also didn't go to El Guajira as it's a mission to get there and takes quite a long time, and we felt we would rather spend that time elsewhere in Colombia. We had heard mixed things about Bogota, but we loved this bustling city! It's a foodie's dream, a coffee lover's haven and there is so much to see and do in! We actually ended up spending about 8 days here just because we liked the city so much. 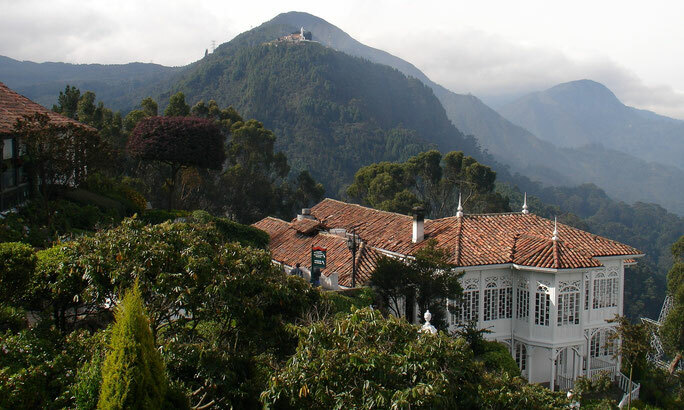 Take in the views from Monserrate: For panoramic views over the city and to gain an understanding of the scale of Bogota, then a visit up to the top Monseratte is an absolute must! Do the city walking tour: If you want to know how Colombia ended up the violent country that it once was, then take a free city walking tour to learn about the event which changed the face of Colombia forever; and it happened right in the heart of Bogota. Visit Museo Del Oro: Home to the largest collection of Gold in the world; this fascinating museum is known for being one the best in all of Latin America. We wrote a full blog post on the must do things in Bogota where you can see everything we recommend in this city. Where to stay in Bogota isn't a straightforward question to answer as the city is huge with lots of different districts. Instead, we wrote a blog post all about where to stay in Bogota and which neighbourhoods we think are best! 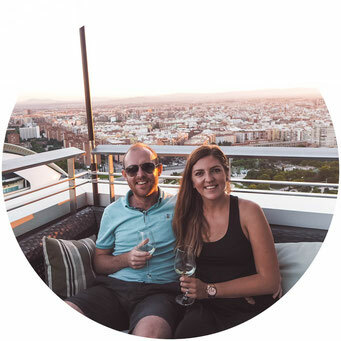 Although, it does need to be said that if you want to splash the cash and stay somewhere incredible then there is nowhere better than Casa Legado, a hotel which offers a truly unique experience. You can check prices and availability here. Villa de Leyva is a beautiful little colonial town which is a stark contrast to other colonial towns we visited in Colombia. This is because it wasn't colourful like Guatape or Jardin, instead it was a beautiful whitewashed town which looked like a little town in Tuscany as opposed to Colombia. If you like coffee and cakes, then Villa de Leyva is a must visit place just for this reason! Drink coffee - There are countless coffee shops in Villa de Leyva, we literally spent two days there wandering from one to the next and sampling the delicious Colombian coffee. Visit the terracotta house - The terracotta house feels like its fallen out of a Hansel and Gretel story; this life size piece of art is the largest piece of pottery in the world. It's a bizarre and fascinating place to wander around. 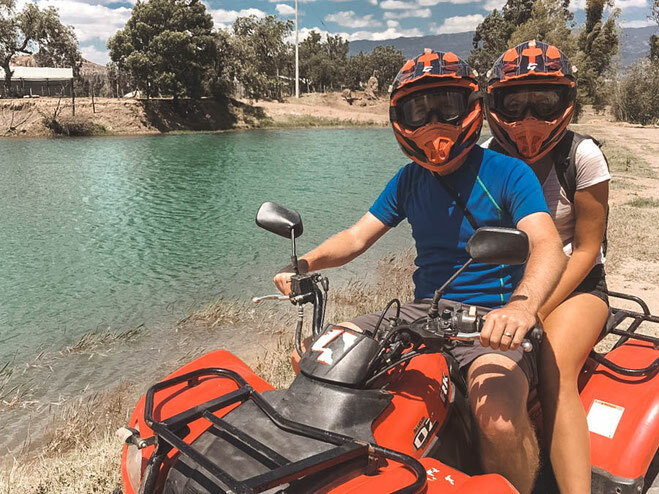 Quadbike in the desert - There are sand dunes very close to the town that are perfect to spend an afternoon rallying up and down on a quad bike. Villa de Leyva is about 3 hours from Bogota and there is a direct bus which leaves from Terminal Satelite del Norte which goes direct to Villa de Leyva for $25,000 COP. However, these buses are few and far between which means if you miss one, you will need to wait hours for next. If this happens, then there is another bus which goes to Tunja for $20,000 COP and from Tunja terminal you can get a second bus to Villa de Leyva for $7,000 COP. The buses to Tunja leave when they are full so you will no doubt hear drivers shouting "Villa de Leyva" when you arrive at the terminal and its easy to just pay on the bus. There are various places you can visit in the coffee region, which Salento being the most well known. We split our time here between popular Salento and the lesser known town of Filandia. After making our way back to Bogota by direct bus from Villa de Leyva, we spent a night there before heading on to explore the coffee region. Our first stop was Salento and to get here, firstly you need to go to either Armenia or Pereira, two larger towns both within an hour of Salento. We got an overnight bus to Pereira from Terminal de Transporte in Bogota and tickets for this journey should cost between $50,000 and $60,000 COP depending on the bus company. The journey is advertised as taking 8 to 9 hours, however it only took 6 hours which meant we arrived at Pereira in the middle of the night and the buses didn't start until 5.30am. Therefore we had a bit of a wait on the floor of Pereira bus station. But, at 5.30am then the local bus to Salento turned up and off we went. Visit a coffee farm: You are in the coffee region after all! In Salento you can visit working coffee farms, and take a tour to learn about how coffee is made. Hike the Cocora Valley: The Cocora Valley hike takes about 6 hours, and you will through a stunningly green and unique landscape sporadically with huge palm trees. Play with gunpowder: Play the local game of Tejo where the aim is to throw a metal puck at a little sachet of gunpowder and make it explode! Hours can fly by playing this hilarious game. It's easy to get between Salento and Filandia; simply catch a bus going towards Pereira from the bus station. Tell the bus driver you are going to Filandia and ask to get dropped on the road to Filandia (bus drivers are usually pretty helpful and will tell you when to get off if you are unsure). Then get off the bus and cross the highway; you will see a cafe on a corner next to a country road, wait here for a bus with a sign for "Filandia", hail it down and jump on! Walk in the countryside: Filandia is surrounded by the most beautiful Colombian countryside. It is a lovely area to wander around in the afternoon sun. Eat at Helena al Dentro: We would travel all the way to Filandia just to eat at this restaurant. It was quite simply incredible! At Helena Adentro they use the very best of local, seasonal produce, work with local farmers and make magic in their kitchen. Drink more coffee: and of course, indulge in more delicious coffee shops in the town of Filandia. 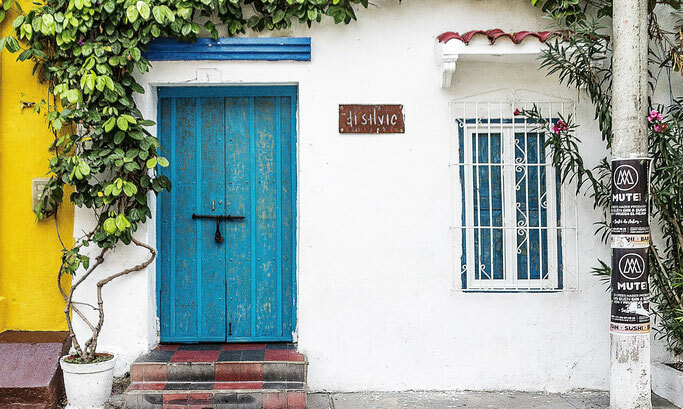 If you decide to visit Filandia, then you need to stay at Casa Muy ChaCho. Seriously, don't consider staying anywhere else. 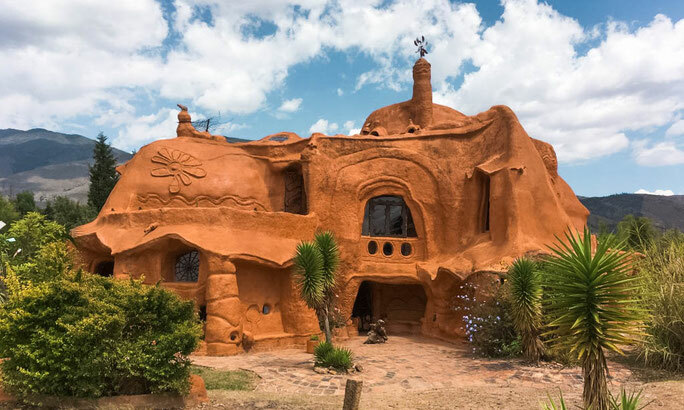 Casa Muy ChaCho is more of a home than a hotel; owned by a French couple named Charlotte and Jordan, they have turned their home into the perfect resting stop for travellers visiting this area of Colombia. Their home is situated about 15 minutes from the town of Filandia and completely surrounded by the Colombian countryside. It is the most beautiful and relaxing setting, and after spending 2 days here we honestly didn't want to leave. After our time in the coffee region we headed back to Bogota where we then flew to Lima to continue our South American adventure into Peru! We had an incredible time in Colombia, and we know it is a country we will definitely return to. This guide to Colombia covers everything we done during our time there, although in some places we spent a little longer just because we liked it so much but you can comfortably visit all of these destinations within a 6 week itinerary. If you're planning a trip to Colombia then you are going to have the time of your life in this beautiful country! Feel free to ask us any questions below and we will be more than happy to help!